A wonderful Scottish agate anchor brooch converted to a pendant. 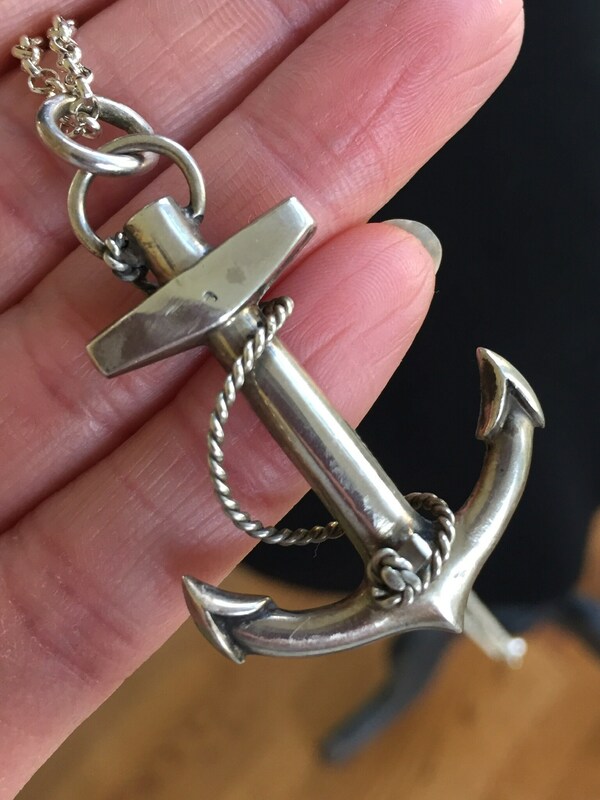 In wonderful antique condition, this sterling (tested but not hallmarked) anchor is a nice size at 1 ½”	and features a twisted rope which encircles it. Different colored agate stones are inlaid into the piece, including blue/gray, burnt orange, and deep forest green. 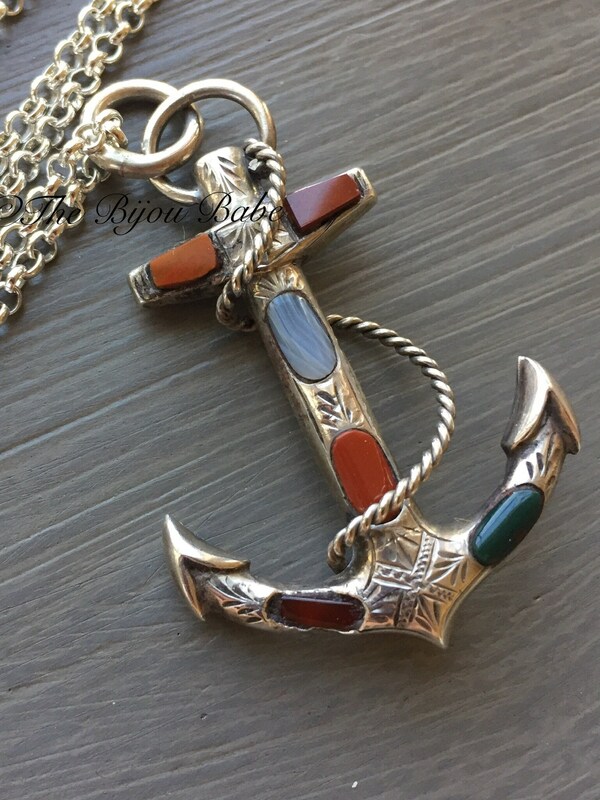 Beautiful etched design on the face of the anchor makes this an even more exquisite piece. It is suspended on a new 22" sterling silver rolo chain, ready to wear! In Victorian times (and now!) 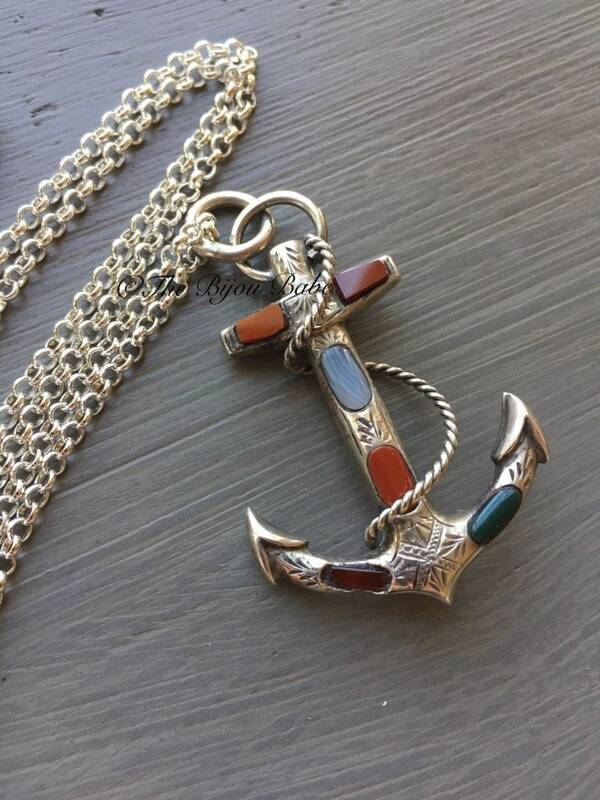 anchors are a symbol of hope, as well as steadfastness. 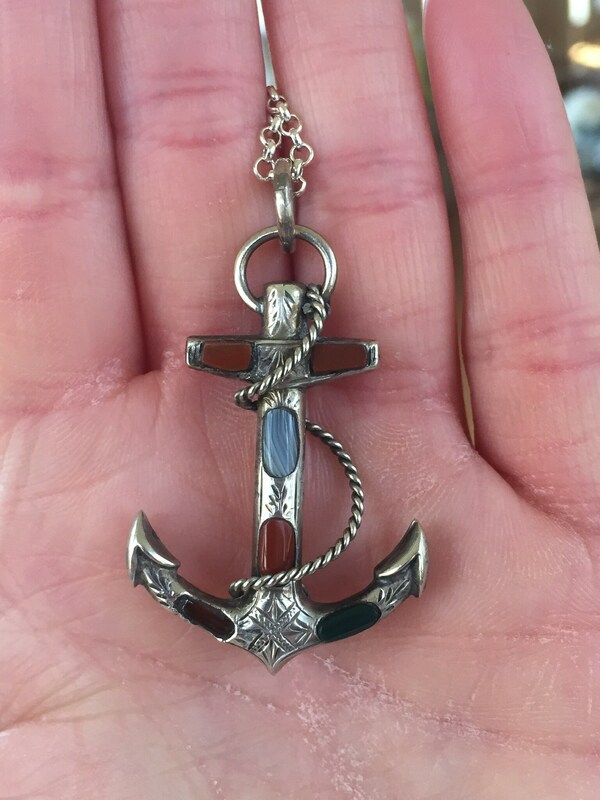 Besides being just a lovely piece of nautical inspired jewelry, they have strong symbolism to remind us not to give up hope and to persevere. 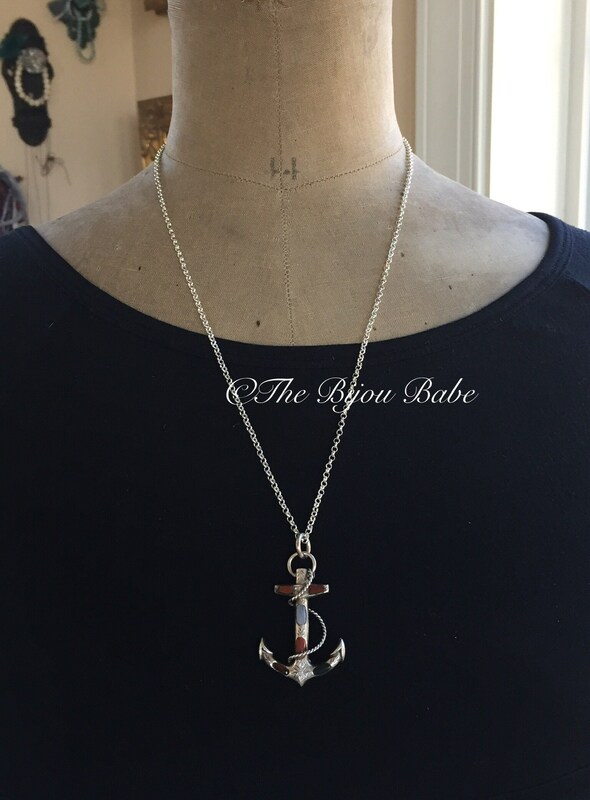 Your Anchor Pendant will ship USPS Priority Mail in the US with tracking, and will be packaged in a lovely, signature "The Bijou Babe" gift box.